We installed this Hawthorn Woods landscape last year and it needs a little time to mature before we photograph it. 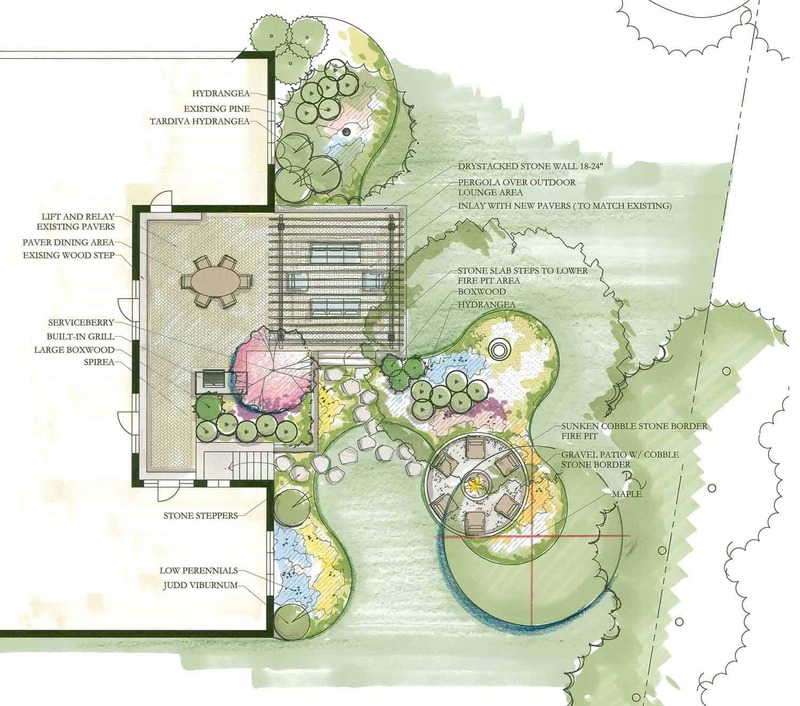 For now, click on this image to review the plan for this stunning garden. The Van Zelst landscape architecture, installation and maintenance teams are well-recognized for creating award-winning Hawthorn Woods landscaping designs. Our work is on display in properties in Hawthorn Woods, as well as throughout the North Shore. We have even created garden plans for the Chicago Botanic Garden. From fully reimagined landscape designs to upgrading plantings and stonework in established gardens, Van Zelst can help you create the landscape you envision. We have enhanced properties to include tumbled concrete paver driveways, as well as colorful, architectural plantings that add year-round interest to Hawthorn Woods landscapes. We are also experienced in dealing with Hawthorn Woods landscaping challenges such as emerald ash borer, drainage challenges and tree preservation, and have helped many families successfully address these issues. In addition, we’re advocates of making green spaces greener, through the use of environmentally friendly landscaping practices, installing permeable pavers, recycling yard waste and more. The Van Zelst team offers complete skilled Hawthorn Woods landscaping services, from site analysis, design and planting to stonework installation by in-house masonry teams and ongoing professional maintenance of your lawn and garden. We create landscapes that add beauty and value to your property, while ensuring that your outdoor spaces are adapted to the way your family lives and entertains. Talk to the Van Zelst team about how to best bring your vision to life. Chicago Botanic Garden—Ideas and tips for your own garden, including plants well-suited to Hawthorn Woods landscaping, gardening publications and inspiring landscape photos.